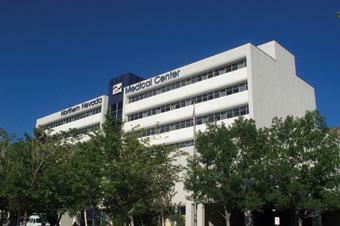 Northern Nevada Medical Center is recruiting an Internal Medicine physician for an employed position with a hospital-affiliated multi-specialty group. Northern Nevada Medical Group provides healthcare services for the entire family, including primary care, cardiology, neurology, general surgery and sports medicine. This is a traditional office-based, outpatient practice, averaging 15 to 20 patients per day. Ideal candidates will be BC/BE; Spanish speaking ability is desirable, and experience with procedures is also a plus. Compensation will include a competitive salary plus production/quality bonus, full employed benefits package and other incentives. Northern Nevada Medical Center is a 108-bed acute care hospital located on 23 hillside acres in Sparks, NV, and is the only hospital in the Reno-Tahoe area hospital to be named a Best Place to Work Finalist. Reno/Sparks is a rapidly growing community located within an hour drive from Lake Tahoe. Sparks enjoys a distinctive reputation as a leading special events venue, as well as a growing economic hub with several businesses moving to the area including Tesla and Amazon. The Sparks Marina is just a few miles from downtown and offers superb swimming, boating, fishing, scuba diving, picnicking and spectacular mountain views. Residents are conveniently located within driving distance to Sacramento and San Francisco, while Las Vegas is just a short 45-minute flight.